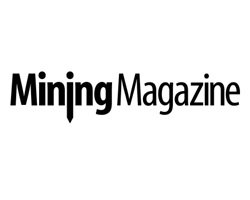 April 4, 2019 - Today we are looking at some of the providers of equipment and solutions for underground mines. 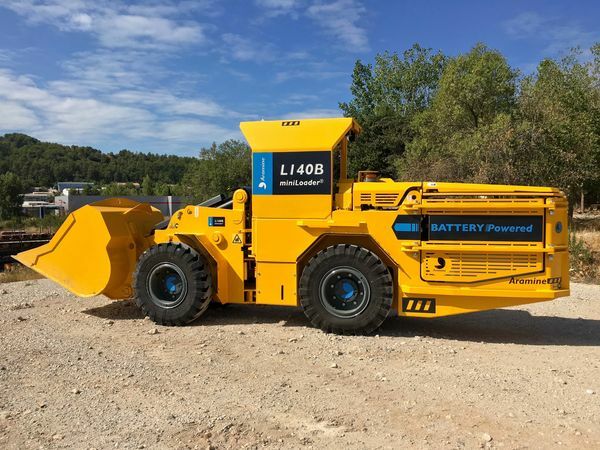 Aramine will be displaying its battery-powered L140B miniLoader at Bauma, which has a new optional quick replacement system (QRS) that the company states totally changes the way a battery machine can be used underground. The standard machine offers four hours of autonomy, which allows mucking 3-4 faces in one shift with an integrated charging system. The new optional QRS features a quick disconnect battery module that does not increase the length of the machine. This allows the machine to be run full-time without immobilzation during charging time. The company states that the system is ultra-fast with a W-type aligning system and an auto-locking device. Aramine says that its R&D department has worked hard to reorganize the components inside the machine and select an extremely reliable and safe connecting system with maximum power in order to keep the force of the miniLoader. The department has also run a lot of tests to find a good angle of adherence in the W-type system and find a faultless self-aligning mechanism. The battery change can be done in 10-15 minutes. 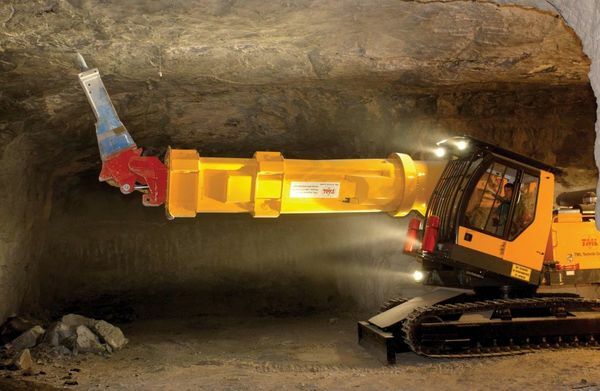 With the fixed-frame version of the L140B miniLoader, a mine would need to have two machines in operation to work continuously - with one charging while the other is working. However, with the QRS version of the machine, the mine could have just one machine for continuous operation. All operational L140B miniLoaders with fixed frames can be converted to the new QRS version with an aftermarket kit. Aramine will be displaying its battery-powered L140B miniLoader, which has a new optional quick replacement system. This is the company's first Bauma as Epiroc - Atlas Copco's mining division and part of its infrastructure business spun off and became an independent company in 2018. Helena Hedblom, senior executive vice president, mining and infrastructure at Epiroc, says: "As a 145-year-old startup we have the opportunity to think fresh. Combined with our clear focus and great passion for our industries we've been able to rapidly grow into the minds of our customers and beyond. Bauma is an ideal opportunity for us to meet and develop an even closer relationship with our customers in construction, while showcasing our strong offer and focus to the market." Epiroc is launching an integration between its Serpent Ventilation solution and Mobilaris Mining Intelligence (MMI) at Bauma. This aims to help increase safety and health for operators and improve energy efficiency in underground tunnels or mine sites. MMI can monitor ventilation components and installation as well as control airflow based on sensor monitoring. Epiroc has also focused on sustainability in mining through battery electric, zero-emission equipment that can result in a safer and healthier underground working environment. After more than 60,000 operating hours, the company has expanded its proven battery offering and zero-emission underground fleet with the second generation in rigs for face drilling, production drilling and rock reinforcement, loaders and mine trucks. Epiroc is also launching its ‘A bit smarter' concept at the show - this is a set of digital solutions that turn consumables into smart, connected components using customer data and the latest wireless technologies. In addition, My Epiroc is the company's new total solution for the mining and infrastructure industry. The platform is available on web and mobile devices with atractive new features for increasing fleet efficiency and safety. Whether a user is a fleet manager focusing on uptime, an operator getting the job done out in the field or a member of the service department staying on top of fleet performance, My Epiroc designed to allow a user to get their work done with speed and efficiency. Meanwhile, Epiroc's surface and exploration drilling division will launch a new mining rig platform - a future-proof surface drill rig featuring the company's latest technology such as Auto FeedFold and improved fuel efficiency. Normet will showcase ground control technologies at Bauma. The company notes that the use of sprayed concrete in mines, tunnels and other civil engineering structures is an important and integral part of successful, highly productive and safe rock support systems. Normet's TamShot AF range of high-performance alkali-free accelerators for sprayed concrete applications have been formulated for improved fast-setting and safer performance over standard sulphate-based accelerators. According to the company, the new generation set accelerators, both stable suspensions and clear solutions make site-handling logistics and longer-term stability more favourable. Normet's TamCem range of super-plasticiser technologies have been formulated to give exceptionally high water reduction based on customized blends of specific polycarboxylate copolymer technologies. These super-plasticisers will usually provide an open time of 3-6 hours. Added open time often requires the use of Normet's new TamCem HCA - a hydration control admixture. Without technology such as this, the use of modern-day sprayed concrete would be very challenging. TamCem HCA is a very effective concrete hydration control admixture that can be added at the batching plant. By adjusting the amount added, the ‘open-time' of fresh concrete can be extended by anything from four hours to two days. Normet's range of polyurethane silicate resins are new generation systems used predominantly in the mining and tunnelling sector. Its TamPur 116T is a two component 1:1 ratio resin that reacts to form a non-expansive, solid compound that gains considerable adhesive, compressive and tensile strength within minutes. Rock bolting grout (RBG) is suited for securing all types of rock bolts where early tensioning/loading is required along with full rock bolt encapsulation. TamPur RBG is available in varying grades to suit both an automated or manual injection process and to allow for local ambient and rock formation temperatures. It incorporates a gelling agent that produces a non-sag resin once the two components are mixed and injected. TamPur 117 is designed for cavity filling in hard rock mining, goff filling in coal workings, to general void filling for tunnelling and civil engineering projects. It reacts within seconds to form a high, expansive, lightweight foam, which is economical, non-toxic, fire resistant and user friendly. 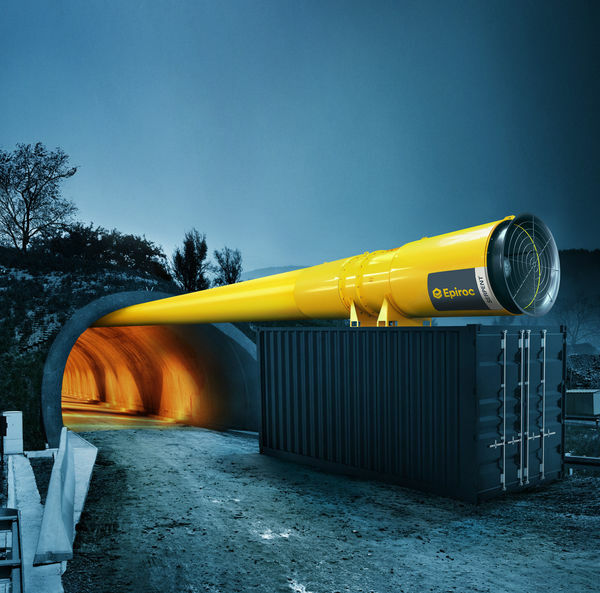 Normet's D-Bolt is widely used as part of the ground support system in some of the largest and deepest mines and tunnels globally. According to the company, the D-Bolt represents the new generation of energy-absorbing rock bolting systems that are specifically designed for efficient and reliable rock reinforcement, in both squeezing and burst-prone strata conditions. The concrete spraying machine Wetkret 5 ensures safe and accurate spraying in middle and large sections of tunnels and mines. Its spraying arm, which has a vertical reach of 17m, has demonstrated its efficiency in projects around the world. What's more, Putzmeister said it can perform movements simultaneously, resulting in improved manoeuvrability and reduced times. The concrete pump includes the latest Putzmeister technology and has a maximum output capacity of 33m3/h. The variable flow compressor integrated into the chassis can be easily adapted to the spraying requirements, ensuring maximum quality. For greater additive dosage accuracy, Wetkret 5 features a peristaltic additive pump with flow meter, or a screw additive pump. 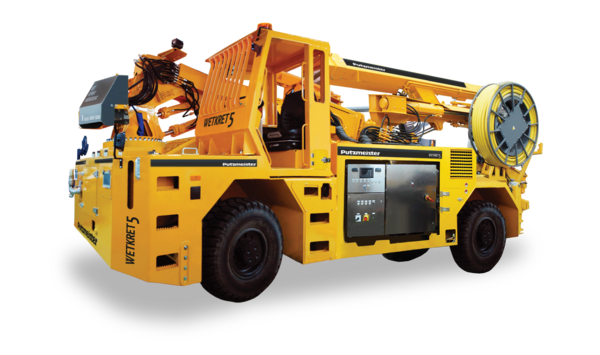 All of the equipment's functionalities are remote controlled, guaranteeing operator safety and ergonomics. At the Bauma TML will be showing one of its mining machines, the UNIDACHS 740 scaler, which comes with a high-specification ‘Mining Package'. The UNIDACHS' 360° rotary, telescopic boom offers a high range of flexibility, as well as a long reach, while the height of the machine is relatively low, allowing quite large sections to be profiled in a very safe manner. 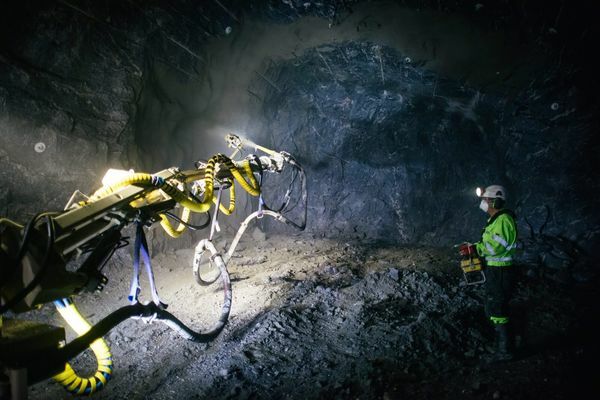 The Mining Package adapts the UNIDACHS 740 scaler to the extreme conditions underground. In addition to the unique kinematics of the telescopic boom, the package offers comprehensive protection for the machine operators. The operator's cabin has a Falling Objects Protection System (FOPS) installed on the roof and on the front screen, which is made of armoured safety glass; the cabin is tiltable, so that the operator has an optimal upward view. In addition, the machine itself is protected for the typical underground mining and tunnelling environment, i.e. TML hides the hydraulic hoses away in a guide system inside the telescopic boom. There are also particularly high-intensity xenon working lights, bumper protection rails for the superstructure, armoured glass in the front area of the cabin roof, protective covers for the boom guide rollers, deflector plates in the front area of the main boom, dirt deflectors brushes between the main and telescopic booms, as well as a camera system that allows you to see to the rear and to the side areas. In mining and tunnelling, the UNIDACHS 740 scaler is suitable for scaling with a breaker, a ripper or a rotary drum cutter, as well as different types of buckets for clearing of debris, profiling of tunnel sections or breaking through cross galleries. In addition, it can be used as a carrier machine for i.e. drilling rigs, setting tools for bows and anchors.